American Legion Auxiliary Unit 268 is part of the most influential patriotic women’s organization in the world. It maintains its own unique identity while achieving important goals for both the Post and the community. It raises thousands of dollars each year to support a wide range of charities. Its members devote hundreds of hours to helping make Post activities successful. The Auxiliary brings important aspects of family life to Post 268 operations. The Unit distributes hundreds of poppies yearly in exchange for donations that go to help Veterans and their families. The Auxiliary supports programs that address children and teenage problems such as drugs, abuse, alcoholism and pregnancy. The Unit holds parties and conducts other social events for underprivileged youngsters. It provides support to Girls State and Girls Nation programs where high school juniors learn leadership, patriotism, self worth and confidence. The Unit welcomes qualified women to join the organization and participate in its activities. 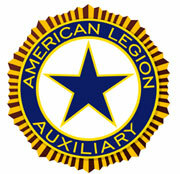 Membership in the American Legion Auxiliary shall be limited to the mothers, wives, daughters, sisters, granddaughters and great-granddaughters of members of the American Legion. As well as to the mothers, wives, daughters, sisters, granddaughters and great-granddaughters of all men and women who were in the Armed Forces of the United States during any of the following periods: April 6, 1917 to November 11, 1918; December 7, 1941 to December 31, 1946; June 25, 1950 to January 31, 1955; February 28, 1961 to May 7, 1975; August 24, 1982 to July 31, 1984; December 20, 1989 to January 31, 1990; August 2, 1990 to the date of cessation of hostilities as determined by the Government of the United States, all dates inclusive; or who, being citizens of the United States at the time of their entry therein, served on active duty in the Armed Forces of any of the governments associated with the United States during any of the said periods, and died in line of duty or after honorable discharge; and to those women who of their own right are eligible to membership in The American Legion. There are two (2) classes of membership; Senior and Junior. The only form of membership that is authorized is active membership of which there are two classes; and there can be no granting of special or honorary membership for any purpose or reason whatsoever. Junior membership is composed of members under the age of eighteen years whose activities shall be supervised by the senior membership. Upon reaching the age of eighteen years, junior members shall automatically be admitted into senior membership with full privileges.